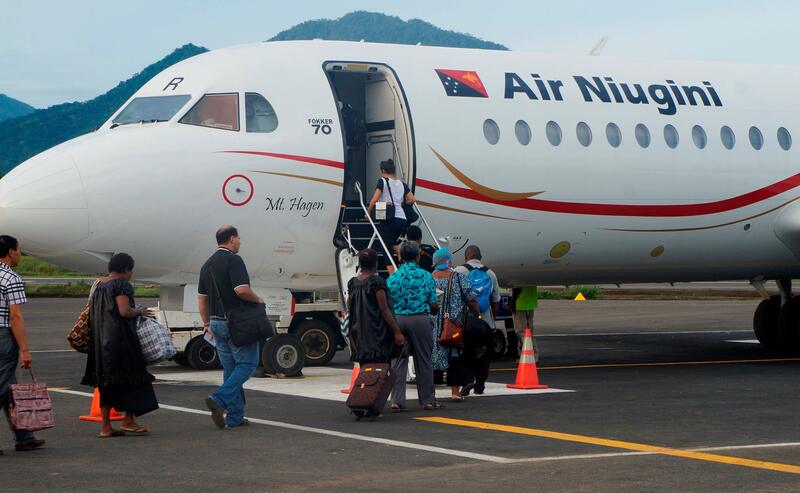 Air Niugini management would like to advise the travelling public that all its services are starting to return to normal from tomorrow onwards following fresh dialogue with the National Pilots Union. High on the list of priorities is to ensure that disrupted passengers are uplifted to their destinations at the earliest opportunity possible and that every attention is directed at providing services throughout its network. The airline said that today it operated most of its domestic schedule and all international flights except the operation to Honiara, Solomon Islands and Nadi in Fiji. All flights to Lae today were operated by the B737 which enabled many of the back-log of passengers to be uplifted. “Our passengers remain our number one priority and management and staff are on hand to do everything possible to alleviate the inconvenience caused by the temporary setback to our services,” said Mr Foo. Air Niugini will have its sales offices in the outports open tomorrow (Saturday) until midday and the Waigani and the airport sales offices will be open until 5pm to assist with rebooking and rerouting of tickets for the passengers who have to make changes to their travel. The airline advises that it will waive all penalty fees for the disrupted passengers. “I would like to thank the staff who are working tirelessly to process and handle the various disrupted flights in the last few days including those pilots who have supported the airline’s mandate to provide air services to the travelling public,” said Mr Foo.